The Father, and the first and greatest figure of the Armenian Church, was St. Gregory the Enlightener, who founded the Church and reoriented the history of the Armenian people. This great saint, endowed with a powerful will and extraordinary administrative ability, was born with a proclivity to adhere to high principles. Though orphaned at an early age, he had the good fortune of receiving high quality secular and religious education under the tutelage of evangelistic church fathers who nurtured his soul in a strongly religious environment. Thus, imbued with the virtues of goodness and prudence, and being patient and persevering, Gregory the Enlightener gave evidence, through his own life, that he had the calling to open a new page in history and inspire a worldwide outlook in his people. His vision became realized, thanks to, of course, the untold severity of his sacrifices, his unfading hope, and his strong and invincible faith. • Feast of King Dertad and Queen Ashkhen, Khosrovitoukht, and others. It is noteworthy that of the numerous figures that have been sanctified by the Armenian Church, it is only St. Gregory the Enlightener who has an established niche in both eastern and western hierarchical churches and who is recognized and memorialized along with all the other saints. The Armenian people have shown their consecrated gratitude toward this great Patriarch and his work by the honorific title they have generously bestowed on him, the meaningful “Enlightener” (Lousavorich). In fact, it is not even a debatable matter that he is the champion, the foremost in the work of spreading the light and life of Christian faith in Armenia. The work is known also as “History of St. Gregory,” because of the extensive coverage given to St. Gregory’s establishing Christianity in Armenia, his work in its spread, and his concepts of moral theology. This work by Agathangelos has been translated into many languages and has been the subject matter for widespread and serious scholarship. Foreign philologists and historians have considered St. Gregory the Enlightener’s work and his influence on Armenian history to be so important and great that they have looked upon him as the Father as well as the Enlightener of his Armenian people. It is so to such an extent that Armenians, and the Armenian Church, have often been referred to as Gregorian’s (Lousavorchagan), and the Gregorian Church. We would here emphasize the fact that the Armenian Church is apostolic because its first enlighteners were the Apostles Thaddeus and Bartholomew, not St. Gregory the Enlightener. St. Gregory the Enlightener’s father was Anak, a prince of the Arsacids (Arshagunis). The Arsacids had more than one branch. Arsacids of Persia: This royal dynasty began in the year 248 B.C. and lasted until 224 A.O. when a revolution took place and the Sassanid (Sassanian) dynasty began to reign. Arsacids of Armenia: The first king of this branch was Dertad I. His reign began in 53 A.O. with his coronation in 66 A.O., a half century after the fall of the Artaxiad (Ardashesian) dynasty. The sovereignty of the Arsacid kings continued, with certain interruption, until the year 425, when the end came of the Arsacid Dynasty in Armenia. Early in the third century, beginning in the year 211, Khosrov I the Great of the Arsacid Dynasty was King of Armenia. He was also known as Tiridates II (Dertad II). During his reign there was a revolution in Persia against the Persian Arsacids. The Persian Arsacid Artavan V was dethroned, and the Persian Sassanid Ardashir I established a new dynasty, the Sassanids, in 224. The new Sassanid King Ardashir I mercilessly persecuted the Arsacids and had them liquidated so that the newly established Sassanid dynasty would have no competitors in the future. Regarding Arsacid kings in neighboring countries as a natural threat to his sovereignty and dynasty, he also waged war against them, carrying out military invasions. It is clear then, that when the Arsacids in Persia had lost their sovereignty in 224, the Arsacids in Armenia continued to remain sovereign. For that reason it became inevitable that a more tense relationship would develop between these two kingdoms, Armenia and Persia, with a common border and ruled by two different, adversarial dynasties. As a result of this situation, the Armenian Arsacid King Khosrov I the Great was obliged to resist the numerous incursions of the Persian forces. In general, he remained undefeated. But being confronted with such a threat he made an alliance in the year 232 with the Roman Emperor, Alexander Severos. With a pre-emptive attack against the Persians, he gained an overwhelming victory. To memorialize the occasion, according to tradition he founded a city which he named “Ta-Vrezh” (in Armenian, “that, a revenge”), which is now the city of Tabriz (Iran). As a consequence, the Sassanids resorted to treachery to rid themselves of the Armenian Arsacid king. They sent an Arsacid prince named Anak to Armenia, pretending that he was being persecuted by the Sassanids and seeking refuge. He probably was in a blood line with the Armenian king. So Anak, with his family and a brother, “sought asylum in Armenia” as “refugees.” Khosrov I magnanimously took the “persecuted” family into his royal household. Anak succeeded in winning the confidence of the court. In order to carry out his purpose, he waited patiently for about two years for the suitable opportunity to commit his vile crime. The opportunity arose when they were on a hunt. However, he did not succeed in concealing his act because other princes in the hunting party came upon the dying king. They immediately set out to apprehend the criminal and succeeded in killing him as he was trying to escape. But the tragic act had taken place. Hardly had the news of Khosrov’s death reached Persia when the Sassanids mobilized their forces and mounted an attack on Armenia. Their principal purpose was to annihilate the Arsacid clan, and to a great extent they succeeded in doing so. An unstable political situation arose in Armenia. The Arsacids were living in a very perilous period. As a consequence of the treachery, the family of the assassinated Khosrov the Great was thrown into total disarray. The Armenian princes, e­nraged and filled with the spirit of revenge, put the family of the wrongdoer Anak to death. • Of the traitorous Prince Anak: a son, probably named Souren, but who later on, becoming Christian, would be named Gregory. It was these small children who, decades later, under new and different political and social circumstances, would meet and play a vital role in the history of the Armenian people and of the Armenian Church. It is mentioned in history that at the time of the tragic killings, the children who were rescued were about one or two years old. Some historiographers figure that Khosrov was assassinated in the year 259. From these facts it follows that St. Gregory the Enlightener, and also Dertad the Great were born in about the years 257-258. There is another opinion extant that the treacherous killing of Khosrov was affected by the Sassanid Artashir, who died in about 241-242. From that it would follow that the assassination had occurred about 240, in which case St. Gregory the Enlightener and Dertad Ill would have been born in the year 239. After Anak’s death, his rescued son, the infant Souren, was taken to Caesarea. Souren was nurtured in his earliest years by a Christian wet-nurse named Sophia. During his childhood and youth he was educated by a bishop named Phirmilianos. Having reached adulthood he married Mariam, daughter of a prince named David. 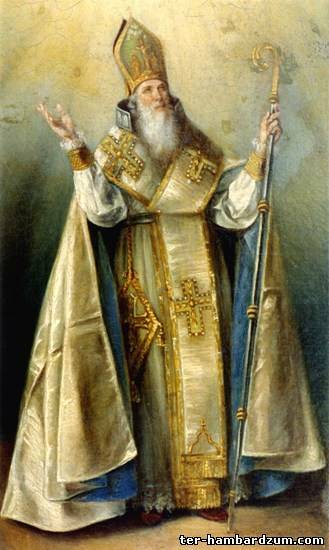 After having had two sons in a three-year period, St. Gregory the Enlightener, with his wife’s concurrence, abandoned family life in order to be able to devote himself to his aim of enlightening (“Christianizing”) Armenia. His first son, Aristakes, remained with his mother, who entered a convent. What St. Gregory the Enlightener did in the immediately following years, and what missions he accomplished, though they would be of interest to us, remain unknown to us, because of the unpropitious circumstances of the times and the prevailing poor discipline of recording events. On page 123 it is said, “Tiridates’ agents found St. Gregory with his two sons. They found St. Gregory in the land of Daranagh, in a mountain cave called Mane.” Notwithstanding the above, we would want to know details about his education, the disciplines in which he worked, his preaching, his responsibilities, his relationship with others, etc. However, we do not have this information, but we suddenly come upon him in the Armenian royal court, with an important position. That would be in the year 287. He would then have been 48 years of age (taking his birth year to be 239), or 35 years of age (taking his birth year to be 252). It is certain that St. Gregory the Enlightener married at about age 20-22 at the latest, and that by age 25 he was the father of two boys. 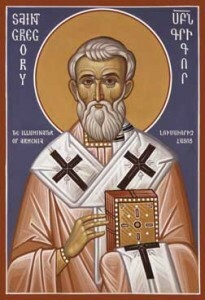 In writing the biography of St. Gregory the Enlightener, the celebrated writer Agathangelos has emphasized the great faith of the saint, his apostolic and providential mission, his marvelous works which led to the spiritual transformation of a whole nation, to a cultural revolution, to the establishment of a unified nation, and his willing sacrifices for the sake of principle. Tiridates (Dertad) was also destined to have a life filled with difficulties. In this instance, his was in a different environment, and provided a different education. Recognized for his noble and royal birth, Dertad received a military education in Rome. He was being held for a propitious political situation when he would be brought into the Perso-­Roman political conflict and confrontations. Persia was in the unstable period of internal conflict because of competition between opposing dynasties. The Eastern Branch of the Roman Empire included the semi-autonomous region of Armenia, bordering on Persia. Armenia was an endangered region that had the potential of being joined with the Persian part of Armenia, as a consequence of Persia’s policy of expansion. Historical probings have confirmed that it was under such circumstances that Dertad was placed on the Armenian throne in the year 274 by Emperor Aurelianus of Rome. But about two years later, King Bahram of Persia in Armenia and drove Dertad out of the country. A number of Roman emperors ascending the throne mounted frequent attacks against the Persian monarchs. They sought to impose an Armenian kingdom to serve as a buffer between the two mighty powers. But Persia was not willing to have a powerful Armenia on its border, especially with its leaders cultivating an amicable tie with Rome. It was during that period that Dertad occupied the Roman Armenian throne more than once. He was being assailed by the Persians and driven off each time, after which he would return to the throne. But he gained strength and authority and was finally able to establish his sovereignty over all Armenia (both Eastern and Western, Roman and Persian). That was about the year 298. It was in this period of conflict around the year 287 that St. Gregory the Enlightener, in his important position within the royal court, was alongside King Dertad in the province of Erza (Erzincan). The Roman emperor of that time was Diocletian. It was natural, of course, that Dertad would hold to the same religious beliefs as his Roman superiors, which could be considered both anti-fire worshiping and anti-Christian. 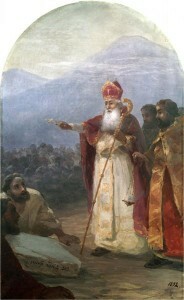 In such a situation, a number of social, religious, and civil events created the environment in which King Dertad, despite his warm feelings towards St. Gregory the Enlightener, would harden his opposition to Christians, but later reverse himself, embrace Christianity, and persecute heathens. Many of those observing the punishment were deeply moved. They marveled at his peaceful manner and at his murmured prayers: “Some recorded his utterance and took them to show the king. Dertad ordered them to increase the severity of the punishment, saying, “Beat him with greater force so that he will tearfully and lamentingly receive the sweetness and joy he is waiting for.” St. Gregory endured this indescribable torture for seven days. Dertad tried for the last time. “Be convinced that I am right, and draw near to the great gods. If you do not, I swear that with their glorious power I will destroy you.” But from the accused one came the following words, “Yes, I will draw near, but to my God, for Whom I am ready for eternity to sacrifice in His glory.” (Avantabadoum, p 167). Thus, St. Gregory the Enlightener, with the strength of his will, carried on the battle for the defense of his faith, bearing all sorts of torture. He was ready to accept the crown of death. Dertad finally gave up. “He ordered the Saint’s death by banishing him to the pit of Ararat” (Khor Virab). “That pit was notoriously terrifying, and even worse in reality. It was filled with vermin, scorpions, poisonous snakes and other horrible creatures.” What is significant is the miraculous survival of St. Gregory the Enlightener in that hellish hole for 14 or 15 years. The horrible tortures borne by the Saint, and his survival through it all, are regarded to be true miracles. In the general history of Christianity, the account of the tortures borne by the Enlightener of the Armenians is regarded as one of the very special pages, and the triumph of the Saint is looked upon as a special virtue worthy of the apostles. The sacred relics of St. Gregory the Enlightener are regarded to be the most consecrated of the Armenian Church. These consecrated relics are to be found in the following church centers. Holy Etchmiadzin: The relic forearm of St. Gregory the Enlightener is stored in the repository of Etchmiadzin, under the control of His Holiness, the Catholicos of all Armenians. It is usually brought out of the repository once every seven years, at the time of the consecration of the Holy Chrism. 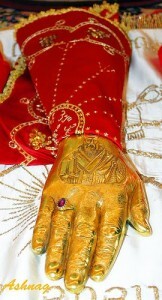 Antelias, Lebanon: Another sacred relic forearm of St. Gregory the Enlightener is kept at the repository of the Catholicosate of the Great House of Cilicia. It is brought out each year on the occasion of the Feast of St. Gregory the Enlightener’s Entrance into Khor Virab, which is also the Catholicosate’s pilgrimage day. Each year, after the celebration of the Divine Liturgy and the ceremonial procession, thousands of pilgrims have the opportunity for a reverent view of the sacred relic, kissing it before the altar and murmuring prayers of vows. That same relic forearm is used also for the ceremony of the consecration of the Holy Chrism. the Gregorian Monastery, it is supposed that recorded details of the movements and other facts of the history of the skull have been lost. Naples, Italy: The magazine “Hay Endanik” (March-April, 1987, Pgs. 42-43) of the Mekhitarist Order of San Lazzaro in Venice, Italy, offers the following account (in Armenian) in an article entitled “Hovhannes Tomajan and the Queen of Naples.” Hovhannes Tomajan had gone to Naples on January 20, 1750. After selling the queen some jewelry he had a strong desire to visit the St. Gregory Monastery before returning to Rome. We quote the part of greatest interest to us. “My mission had gone well, and I had to return to Rome. But how was I to leave Naples without making a pilgrimage to the St. Gregory Monastery. I went there at once. There were Italian nuns there. When they learned I was Armenian, they immediately sent word ahead. The Mother Superior came to tell me about the relics of the monastery, and to show me the relics of the Saint. It had been in the eighth century that Armenian nuns had escaped from the east and come to the city, bringing St. Gregory’s relics. The present church was built in 1754. In the narthex of the church I saw the bust of St. Gregory. The ceiling of the church was covered with paintings of St. Gregory. I saw three large paintings on the inner wall, by the door: 1) Armenian nuns arriving at the seaport; 2) St. Gregory the Enlightener’s relics being transferred, and 3) the welcome being given the Armenian nuns by the inhabitants of Naples. On the other walls of the church I saw numerous paintings depicting various events in St. Gregory the Enlightener’s life, such as, Emergence from Khor Virab, King Tiridates in the form of swine, Tiridates’ cure, ordination of St. Aristages as bishop. 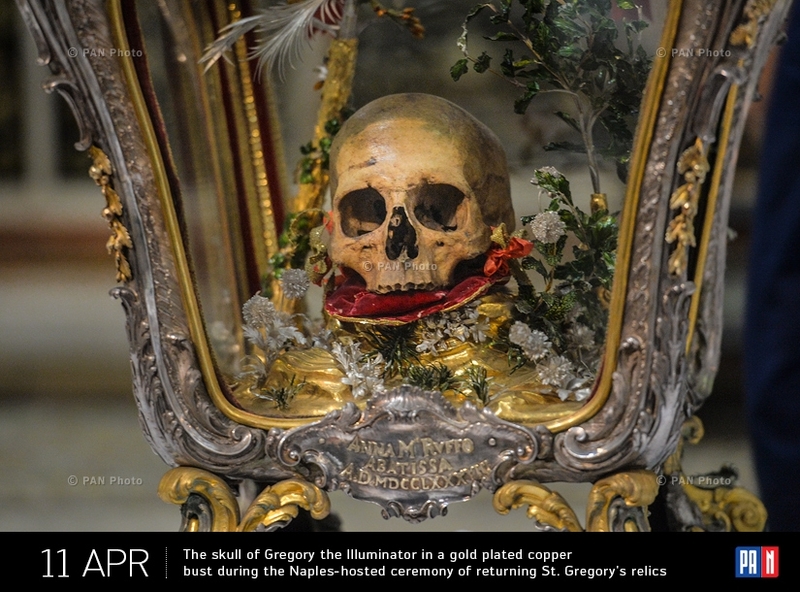 NOTE: After having described details and circumstances of the sacred relics of St. Gregory the Enlightener (at Etchmiadzin, Antelias, the Gregorian Monastery of the Isle of Athas, and Naples) we feel that the question of the “head” (in Naples) needs some clarification. Where, in fact, is the skull being kept? Below we give a sampling of such traditions that have been described in “Avantabadoum” (Anthology of Traditions), by A. Ghanalanian, that offer evidence of the deep love and faith of the Armenian people towards St. Gregory the Enlightener. For having tortured St. Gregory, the Armenian King Dertad became transformed into a wild boar, or hog, and went into the hills. Upon his death his soul entered the body of a boar which was doomed to roam the hills until the Last Day of Judgment. It is said that it is a sin to kill a boar, because in doing so it would be killing King Dertad. Also, it is a sin to eat pork, because in doing so it would be eating the flesh of King Dertad. The heathen Prince Souren, on searching for his son who had embraced Christianity, learned of his whereabouts as revealed by partridges, found and killed him. The betraying partridges, having dipped their beaks and their feet in the son’s blood, have since that day red beaks and feet. It is said that the partridges later felt remorse for their evil act and asked the Enlightener for forgiveness when he built a monastery where the son had been slain. That is the reason why partridges rub their beaks in the dirt and on rocks all day long, to try to wipe away the blood, but to no avail. Although they were forgiven, the color of the blood remains so that they will each day be reminded of their iniquity. Hanging above the four peaks of Mt. Aragats, without a supporting rope, is a lamp filled with the tears of St. Gregory the Enlightener. That lamp burns with an eternal flame, but is visible only to the just. The Armenian word for rope is “baran,” and thus “ropeless” would be “anbaran.” For that reason the province became known as “Anbaran,” and in time, as the name was handed down mouth to mouth, it became Abaran. When St. Gregory the Enlightener went to Aragats mountain to pray, his nights were illuminated by a lantern hanging from the heaven without a rope (in Armenian, “anbaran”). It is said that the lantern is still there, but visible only to the righteous. The Armenian King Dertad, in releasing his “Havloun” sword (invincible sword, like Excalibur) from the stigma of the evil it had wrought, had it thrown toward the Sebouh Mountains by the hand of St. Gregory the Enlightener. However, the sword did not fall to the ground, but remained suspended in the air, taking the shape of a cross. The cross was then bathed in a beam of light. It is said that the light comes from the eternal flame of the Enlightener’s Lamp, which hangs from the heavens without a rope. As with the Enlightener’s Lamp, Dertad’s Sword is visible only to those who are worthy. King Dertad and St. Gregory the Enlightener together destroyed pagan temples and built churches in their places. To build churches where there had been no temples, the king himself brought stones from the mountains, carrying them on his back. Once, for a monastery he was building, he was carrying a large stone water basin on his head and two stone columns under his arms, coming down from the mountain. St. Gregory was following him, praying and chanting psalms to beseech strength and capacity for the heavily burdened king. Dertad, wearying of the monotonous chanting of psalms by the Saint, finally blurted out, “I don’t really mind the basin on my head. What bothers me is that jabbering on my tail.” (Spoken in colloquial language). When St. Gregory the Enlightener was celebrating Divine Liturgy in this monastery, a few heathens let loose a few savage dogs in the monastery. They ridiculed him and said, “If your God is powerful pacify these dogs.” St. Gregory prayed, and the dogs were immediately pacified, and they ran out of the monastery. KHOR VIRAB, or WELL OF ARARAT: During the earliest centuries this was the site of the city of Artashat, and Khor Virab (Deep Pit) was the royal prison. At present, in the vicinity of Pokr Ved, Ara­rat region. The Chapel found there was first built in 642 by Catholicos Nerses Ill. It is possible to climb down into the Deep Pit on a steel ladder, and light a candle on the altar carved into the wall. The depth of the pit is about six meters, the diameter is about 4.4 meters. The Chapel was rebuilt in 1662 and named after the Mother of God (Soorp Asdvadzadzin). For a time there was spirited cultural activity in the monastery, and it also served as a seminary. It is a hallowed pilgrimage site for the Armenian people. DARANAGHI YERGIR: The first province of Greater Armenia. It corresponds to the region of Kemah (southwest of Erzincan) in present day Turkey. It is mentioned by both historians Agathangelos and Faustus the Byzantine. There was much land and other properties belonging to the religious orders that became the property of the church. The same region included the Mane cave and the Sebouh Mountain, both of which are connected with the life of St. Gregory the Enlightener. ERIZA (Erez, Erizavan, Erznga, Arznga), in Turkish, Erzincan: City in the province of Ekeghetseats, in Western Armenia, on the right bank of the Euphrates. Records exist on the city from the 8th century BC, during the Urartu era. The temple dedicated to the goddess Anahid and the golden statue were there. The Feast of Navasart, on the 15th of the month, was observed there, with a procession headed by an idol of the goddess. For that reason the province was sometimes called Anahitagan. The temple and statue of Anahit were destroyed by the hands of Dertad and St. Gregory. It became a capital city on the partition of Armenia in 387, during the reign of Arshak Ill. The city lay on the routes of the Mongols, Tamerlane, and the Ottoman Turks in 1514. It bore the brunt of several earthquakes in 1045, in 1784, and the latest in 1991. AKATHANKEGHOS: Historiographer of the 5th century. His work is known as “Badmoutiun Hayots” (History of the Armenians), and also as “Vark S. Krikorisi” (Life of St. Gregory). 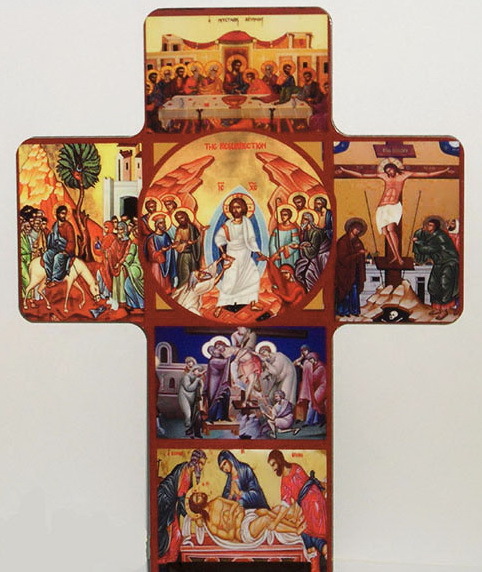 This work has been translated into Greek, French, Georgian, Latin, Ethiopian, and Arabic. The prime extant manuscript may be found in the St. Catherine Monastery of Sinai. 1.History of the 3rd and 4th centuries: description of the life and especially the torture of St. Gregory the Enlightener; the Hripsime maidens. 3.Spread of Christianity in Armenia. ARTEMID (or Artemis): Ancient Greek goddess, daughter of Zeus and Leto, and sister of Apollo. She was the goddess of fertility, virginity, wild animals and hunting.